Washington and Lee University School of Law published a ranking of the nation’s law journals based on each journals’ impact and total citations from 2004 to 2011. 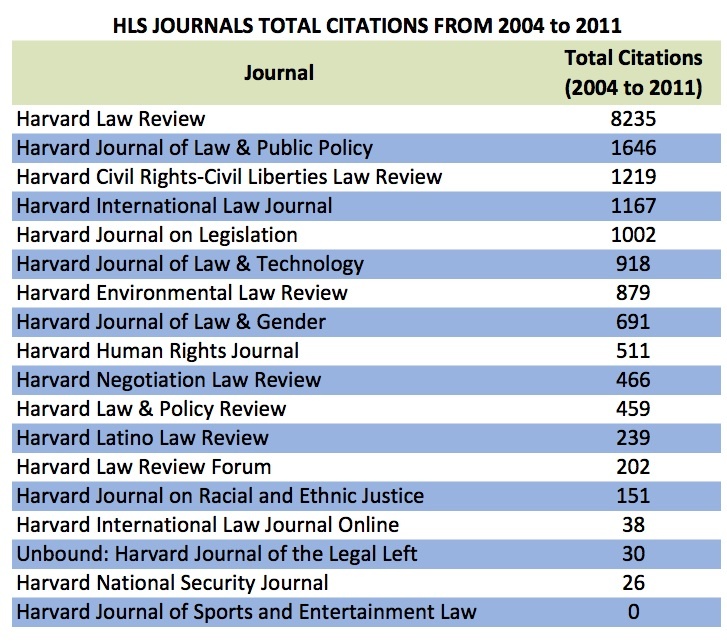 The three highest-ranked Harvard journals based on “Combined Score”, a combination of impact and total citations, are the Harvard Law Review, the Harvard Journal of Law and Technology, and the Harvard International Law Journal. 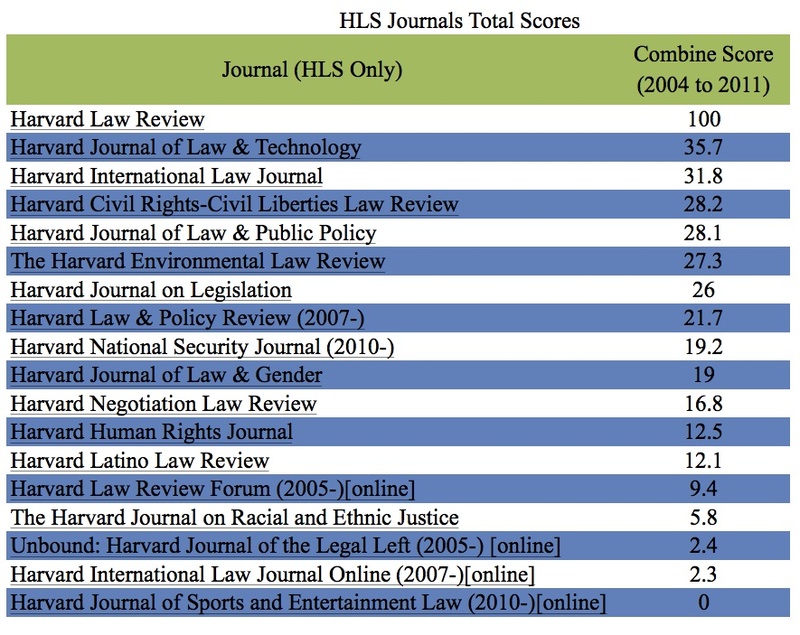 Nationally, Harvard Law Review was ranked first amongst all law journals, JOLT was ranked 32 and the ILJ was ranked 37. Correction (12:10 a.m., April 9, 2012): A previous version of this article inaccurately stated the total score of the Civil-Rights Civil-Liberties Law Review and the rankings of JOLT and ILJ.